Stardew Valley has become a massive sensation since its release, and Switch fans have been eager to check out the title ever since developer Chucklefish first revealed it would be coming to Nintendo's hybrid console. 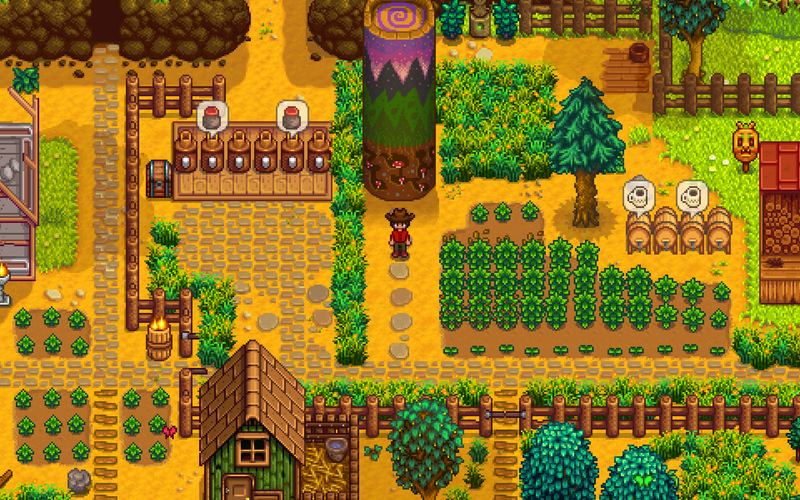 The game plays out nearly identically to other simple farm life titles like Harvest Moon, which has been a staple series for Nintendo systems over the past several console generations, and thanks to a recent Twitter update from developer Chucklefish's CEO, we now know that the game will be submitted to Nintendo for testing and certification sometime this week. It's almost not enough to say that Stardew Valley nails farm life conventions; the game goes above and beyond the traditional genre's staples by presenting an addictive item creation system that allows budding farmers to not only sell their crops, but to create recipes, fertilizers, and even brew beer that can later be sold at the local market. The game has also has an exploration mode that allows farmers to nurture their exploratory instincts and discover rare items and weapons buried deep within the town's nearby mines. As with other country life titles, Stardew Valley allows players to chat up the locals, participate in special town events, and eventually woo a potential partner and get married. Players can decorate and expand upon their homes, fell trees and rocks in order to expand their farm, and pay for the creation of special buildings that unlock further abilities, like the option to farm seasonal crops year-round. While there's still no set release date for Stardew Valley on the Nintendo Switch, the latest update from Chucklefish states that the new version of the game is "coming along very well," and after Nintendo is done making their way through the title, chances are good that players will be able to check out the hit indie title before the coming holiday season. Looking to find more Nintendo Switch gems? We've got an assortment of our favorite hybrid console titles featured over on our list of the Best Nintendo Switch Games.